This watercolor painting demonstration is based on a local landmark. I found this spot by accident one day when driving around Freeman’s Reach, looking for inspiration to for a watercolor painting. 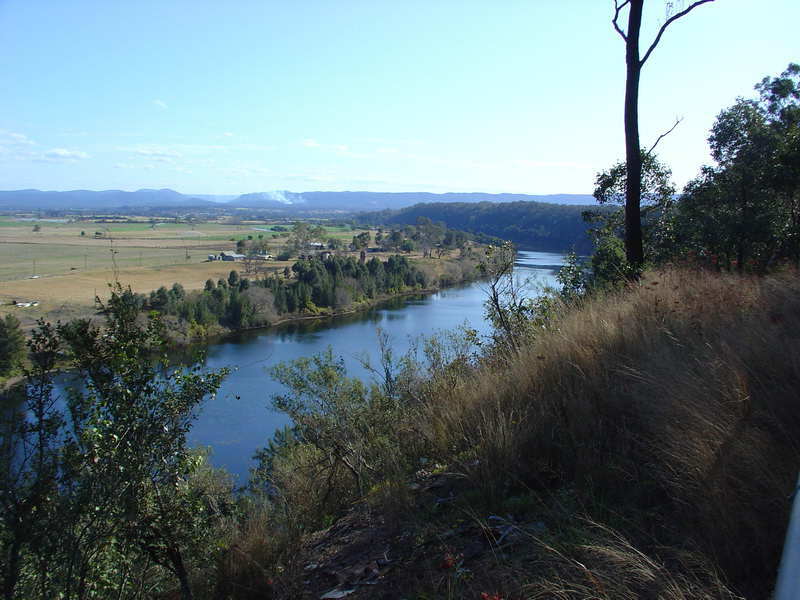 I later discovered that the location was also the site of one of Arthur Streeton’s paintings (“The purple noon’s transparent might” 1896) – I could empathise which his selection. I loved the feel of space, isolation and peacefulness of the location, which I have tried to capture in my watercolor painting. A simple preliminary sketch was done. 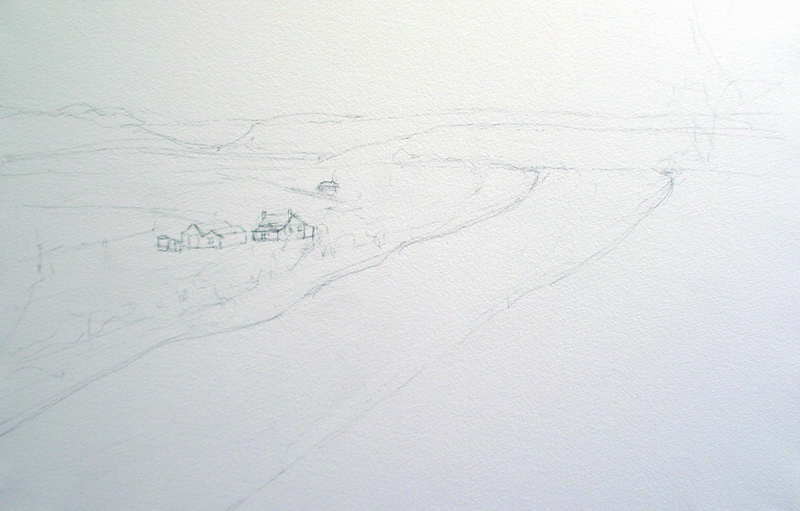 Very little detail was included, just the key placement of the horizon, river line and a building or two. By doing this one avoids having a paint by numbers look to ones work and will let you take advantage of watercolours natural bent to do its own thing! I do not usually pre-stretch my paper for a painting of this size, though in this case I already had some pre-stretched on gator board when the urge to do this painting took me, so I used it.